When pharmaceutical companies need to move their products from one location to another, they must maintain strict temperatures. Enter Softbox Systems, a UK firm with new headquarters in Greenville, South Carolina. 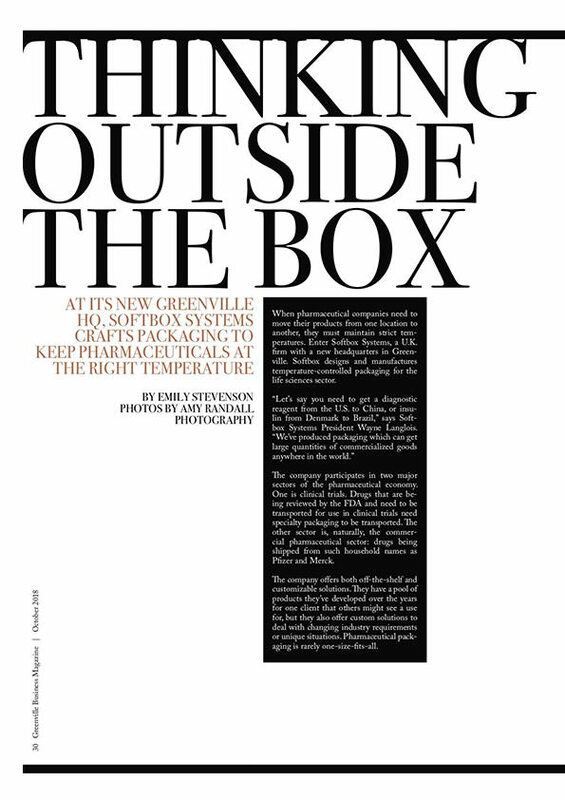 Softbox designs and manufactures temperature-controlled packaging for the life sciences sector. This article in Greenville Business discusses Softbox’s new Americas headquarters, and how the new HQ will benefit Softbox, its customers and the South Carolina area.